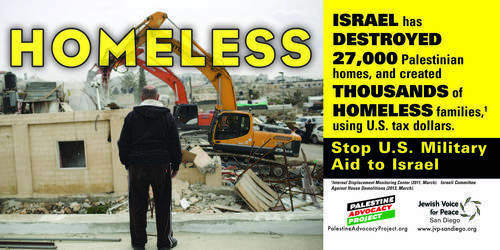 Palestine Advocacy Project launched a major ad campaign this week, publicizing the Israeli government’s violent policies towards Palestinians. The ads will appear in public transit systems and on billboard trucks in seven cities across the United States throughout the month of March. The ads are being launched in the middle of a controversial visit to D.C. by Israeli Prime Minister Benjamin Netanyahu. President Barack Obama, Vice President Joe Biden, and a number of other Washington leaders have refused to meet Netanyahu, presenting an opportunity for both politicians and the general public to reexamine the faltering relationship between the U.S. and Israel. 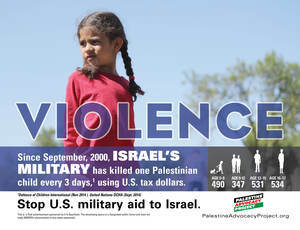 In 2014, Palestine Advocacy Project ran ads in Boston, Chicago, Dallas, and Los Angeles, educating Americans about Israel’s policies. Those campaigns caused a considerable backlash from Israel’s supporters. In Boston, the Massachusetts Bay Transit Authority removed the ads before the end of the contract term. In Los Angeles, billboards were taken down following a series of threats and acts of vandalism. Undeterred, the Project is expanding its efforts in 2015, demonstrating the increased capacity and scope of the Palestinian rights movement. Previous Post: « Palestine Advocacy Project Welcomes Netanyahu and AIPAC to Washington D.C.